On Tuesday, May 1, 2018, we had the great joy of re-electing our Mother Victoria Murray for a second six-year term as our Titular Prioress! Here are two photos from this happy occasion. Dom Brendan Freeman, superior at Mellifont Abbey in Ireland, presided at the election. 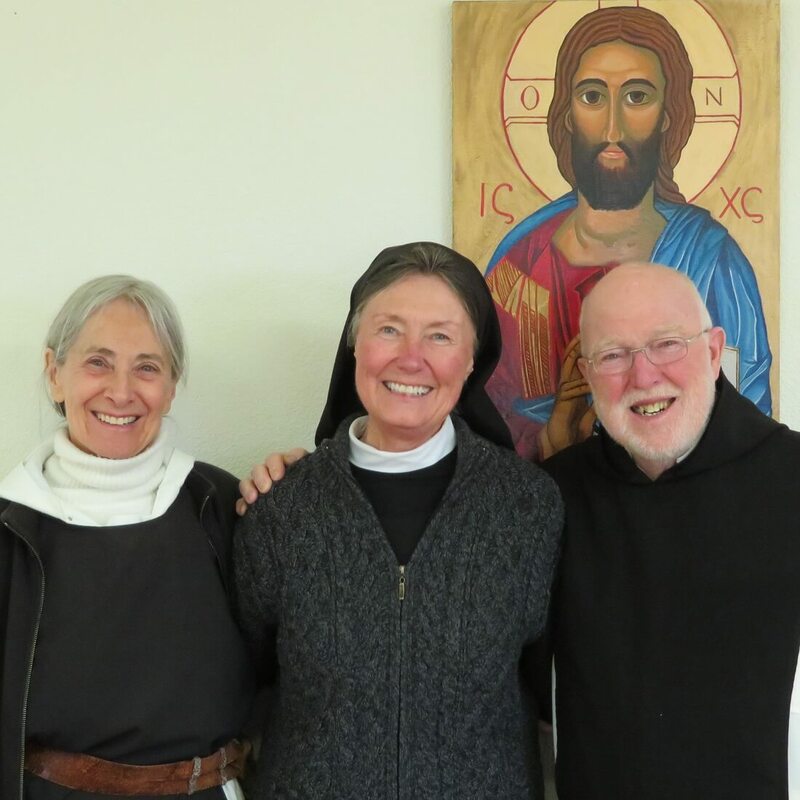 Mother Kathy DeVico, abbess of Redwoods Monastery in California, was an official witness for our election. Please pray for M. Vicki as she begins this new term of service to our community.